"My video is celebrating life and my journey of becoming a artist by overcoming and believing in myself and also encouraging other artist to do the same. Believe and never give up. You define success don't allow others to hinder your progress. We are truly blessed"
about believing in yourself and knowing that you have purpose. I’m an advocate of following your passion and living out your dreams. "It is what it seems" Once you know your worth, know one can make you feel worthless. When you listen to this song you will have a better understanding of why I make music and what inspires me. Take a journey with me into my life whether its wrong or right we only get one life. Live yours to the fullest because no one is promised another day or night. This is real life music. Real thoughts, real emotions, real life moments. Reality not fantasy. Music that can inspire or help someone. Teach and reach. It’s ok to have a balance. We are human and sometimes I do feel like partying and sometimes I do feel like thinking. Don't take my choice away. I'm in a great place musically in my life and you can hear it and feel it threw the music. "I'm really excited because I just finished my first EP titled "Don't Stop Me now" which is available now on all music streaming platforms. The the album will be available for download and streaming from all platforms. The album was mixed and mastered by S7NLEE who is a well established producer in Chicago who also designed the art work for my cover and my single. He has a really good eye and ear for creating and mixing tracks. 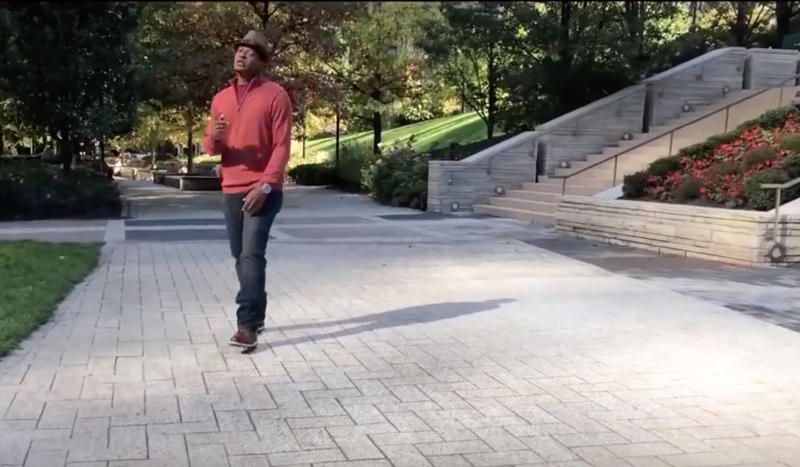 I am also excited because I just shot a music video for my new song "Reason" directed by FulVisual a up and coming videographer who has a great eye behind the camera and a bright future ahead. Thank you for the love and support....1~Luv"